If you ever asked yourself a question, what is the purpose of life? Why are we here? Where are we going to? 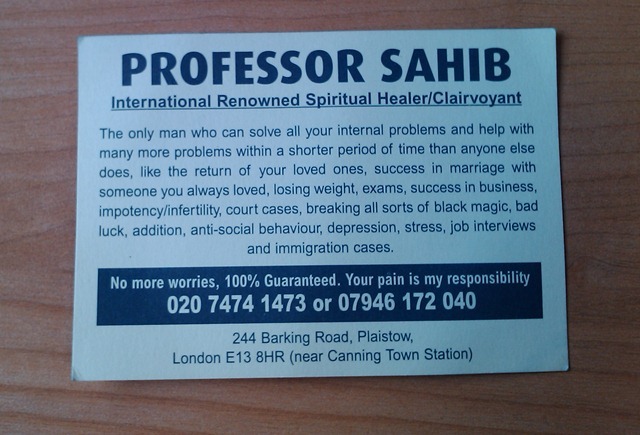 I’m totally convinced you can get an answer from this guy 🙂 Professor Sahib is the answer to anything (if you still don’t know what I’m talking about read the leaflet on a picture). A friend of mine in London got this delivered in his letter box. This is real stuff 🙂 Perhaps some of you need help with the addition 🙂.